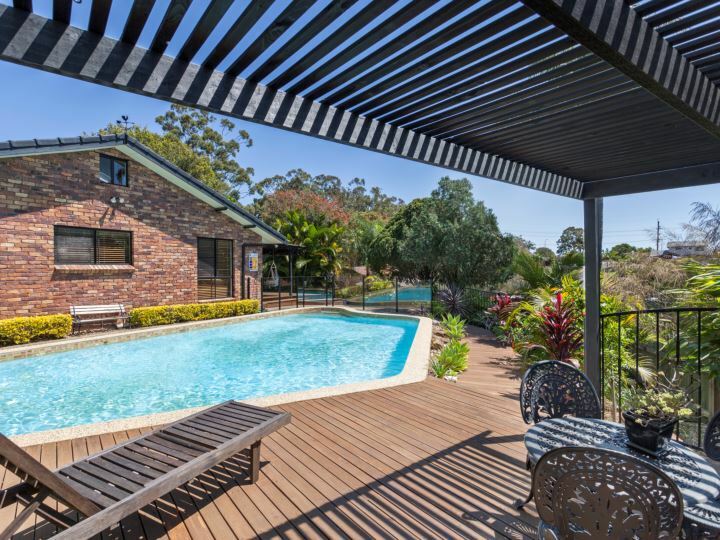 Situated in one of the most popular pockets of the Gold Coast and set out on a sought-after corner block, this immaculate home with oversized pool and sundrenched deck promises to be the perfect entertainer the whole family will enjoy! Spacious, light-filled and well looked after, it offers the chance to live in comfort and style in one of the most tightly held suburbs in South-East Queensland. An opportunity not be missed as this will be sold come auction day. Only 3 minutes from the crystal waters of Currumbin Creek and the newly renovated Pines Elanora shopping centre. Easily accessible to Saint Augustin’s Catholic Primary, Elanora Primary and Currumbin Primary as well as only 5 minutes to Palm Beach Currumbin High School. Furthermore, the popular Palm Beach, with an abundance of fashionable cafes and restaurants, kid’s parks and golden beaches is almost on your doorstep, and is just a few moments drive by car. Live your Dream Lifestyle in the "New Sanctuary Cove"